Do you have a love-hate relationship with pigeon pose? Do you want to get into deeper hip opening poses, but just feel stuck? Is your lower back stiff or in pain? Do you dream about getting into a lotus or an arm-balance that requires open hips? ​In this workshop we’ll work on liberating our outer hips/external rotators to help you enter these poses with more ease. Much like a lotus flower, the hips cannot be forced or cracked open. But given the right set of circumstances and a patient approach, the hips will release and open like a blooming flower! Many of our negative emotions like to live in places in our bodies where they can hide out: places that get the least amount of stretching and release. ! This practice starts with a heat building, hip & thigh opening sun salutation sequence, then moves into a series of hip openers where you will spend time breaking down and exploring the postures deeper. During the last 15 minutes you will enjoy a deeply relaxing guided meditation - walking away feeling blissful, relaxed and much more open! 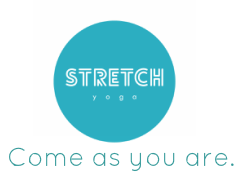 Join Senior Stretch Yoga Teacher Miriam for this deeply therapeutic workshop designed to improve circulation, release stress, and elevate overall health of the body through poses that focus on hips and the lower back. Postural alignment in everyday functional movement begins at the hips. Gaining support from the core at the pelvis is the foundation for yoga, fitness, and outdoor recreation. Hip opening poses create agility throughout the whole body. Bookings essential – $32 per person | $12 for direct debit members.